Make a mixture of corn meal, Lawry’s seasoning salt, garlic powder and onion powder. 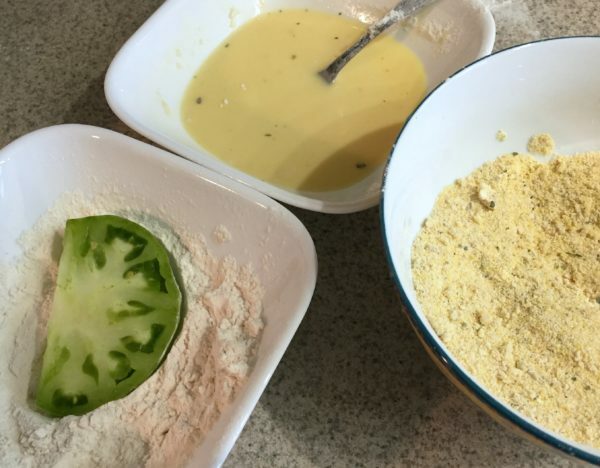 Dip the sliced green tomato in a beaten egg and then into the corn meal mixture. Fry it in butter or oil in a sauce pan until the batter is a nice golden brown. 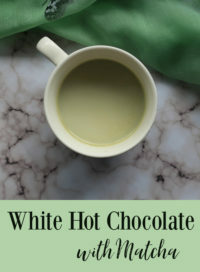 (Check out this recipe). Make homemade salsa using equal parts red and green tomatoes. Add onion, green onion, garlic, corn, black beans, cilantro and different colored peppers. Cook one pound of ground beef, pork, lamb, turkey or chicken. Drain. Add 2-3 cups red and green tomatoes, 2 cups cooked rice, ½ cup diced onion, along with garlic powder, onion powder and Lawry’s seasoning salt to taste. When cooked through, serve over tortilla chips or on hamburger buns (kind of like sloppy joes). Green tomatoes add an unusual flavor and texture to recipes that might usually only include red tomatoes. 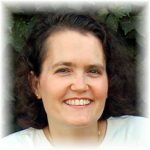 My husband and I have really enjoyed playing with them to see where they can be used. 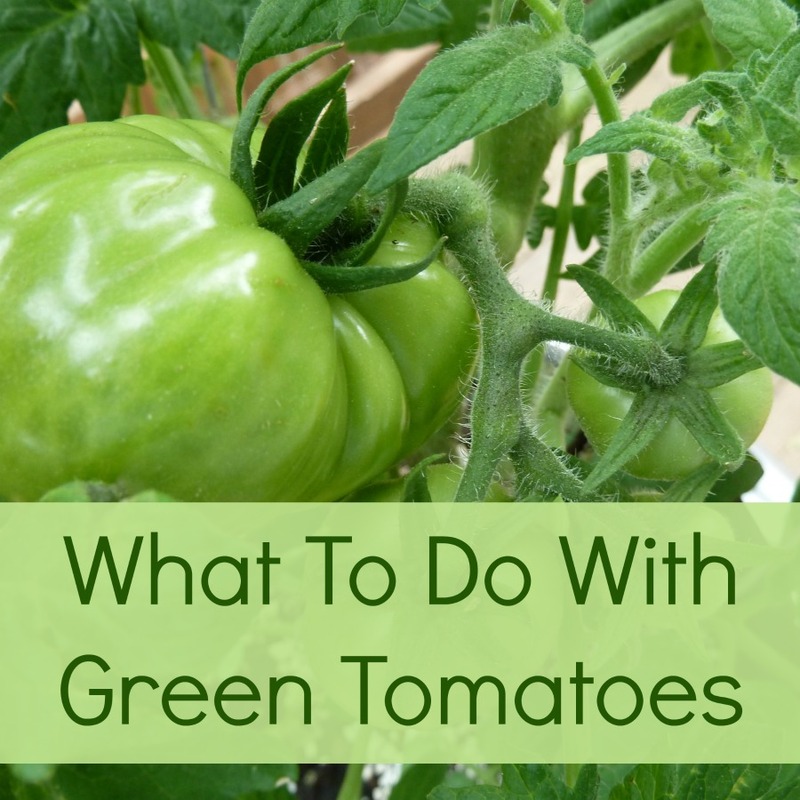 If you use green tomatoes, I would love to know how you use them. Please share your ideas! I was raised in the mid west and love green fried tomatoes. We freeze ours as well. Just prepare your tomatoe like you are going to fry them but put them on a cookie sheet and stick them in the freezer. Once frozen you can but them in freezer bags and fry them when you want them. I found your post interesting.I say that in the way that I would not venture into finding recipes with green tomatoes. After reading the above, I would love to try and make your salsa recipe above. Sounds delicious.